Yet another hole was dug today in Central Road. 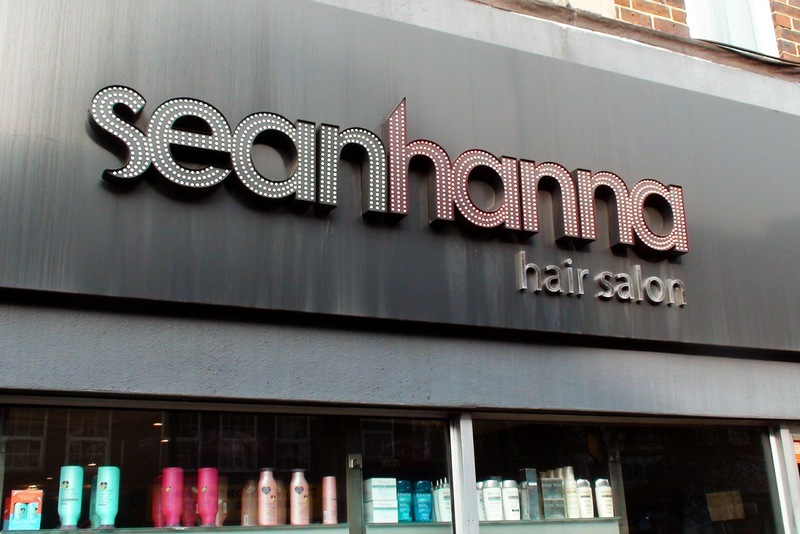 Today's hole (luckily only in the pavement) was brought to you courtesy of SGN, the gas people after a gas leak was discovered in the Sean Hanna Hair Salon. 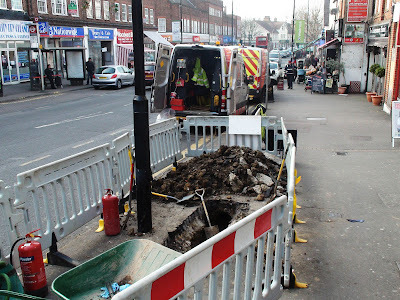 The workmen were trying to locate the gas pipe that connected the mains which run underneath the road itself to the shop and had to dig a bit of a trench to find it. Ordinarily their gas sniffer devices would help them but these were not giving any indication of the whereabouts of the illusive pipe. If you're at all interested in the intricacies of gas pipes, once found, it seems that replacing the pipe comes with it's own set of difficulties. The old pipes are steel but cannot be replaced with steel. The new pipe must be plastic but only up to the property. New pipes within the property must be copper and the plastic must be joined to the copper in box at the edge of the property. Instead of digging up the entire property however, there does seem to be a solution, in that they can thread the thinner plastic pipe through the old steel pipe, using it as a sheath. There - I hope you found that as interesting as I did! Being a gas leak, the work is being treated as an emergency and they are hoping to get it finished as soon as possible.